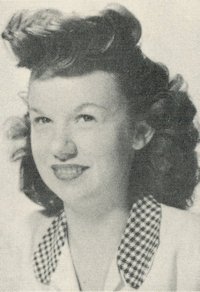 Obituary – Davis, Patsy Ruth (Miller) « Perry High School Alumni Association, Inc.
﻿Football Queen ’46-’47; Attendant Basketball Queen ’45-’46; Teen Town Council ’45-’46; Teen Town Treas. ’46-’47; Band ’44-’45; Jr. Play ’45-’46; Band Queen Attendant ’44-’45; Y-Teens ’46-’47; Library ’45-’46. Patsy Ruth Miller Davis passed away peacefully, while sleeping, on November 28, 2016. 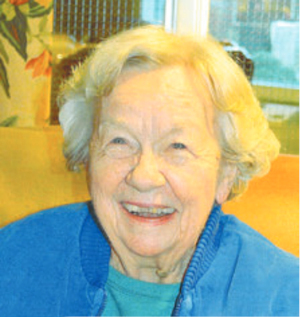 At the time of her death, Patsy was a resident of Pine Ridge Memory Care Center in Spokane, WA. Patsy was born Patsy Ruth Miller on December 2, 1929, in Perry OK., to Leroy “Red” Miller and Thelma Boggs Miller. Patsy graduated from Perry High School in 1947. She was honored to be named Homecoming Queen her senior year there. Patsy enjoyed many activities with her numerous friends. For her final five years, she bravely fought the ravages of Alzheimer’s Disease, which eventually took her life. Patsy never found fault and could always be counted upon for a smile and a wink. All who knew her will mourn her passing. Pasty is survived by her husband of 24 years, Carroll Davis of Spangle, WA, and by her son Scott Jones and his wife Kim, daughter Nancy Lawson and four grandchildren. She will be deeply missed and will be loved forever. Interment will occur at a later date at Grace Hill Cemetery in Perry.